Please visit our information pages on recruitment or tryouts before contacting the coaching staff directly regarding recruitment or tryouts. In college Labatte was recruited on a full athletic scholarship to play NCAA Division I hockey for the Western Michigan University Broncos. Labatte was a 4 year letter winner at WMU and won the Ed Edwards Most Improved Player of the Year Award in his sophomore season. After finishing his senior year at WMU, Labatte was signed by the Kalamazoo K-Wings in the United Hockey League to play for the remainder of the season and graduate with a Bachelors of Marketing from the Haworth College of Business at WMU. Kevin now is using the education he received at WMU to have a successful Career in IT security software in addition to his skills coaching duties at the U. 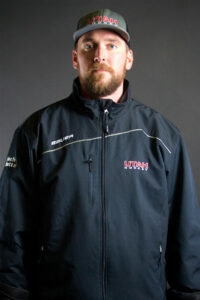 Coach Labatte’s playing experience at all levels influence his details approach to the game. Since joining the team, Labatte has focused on skill development and special teams.